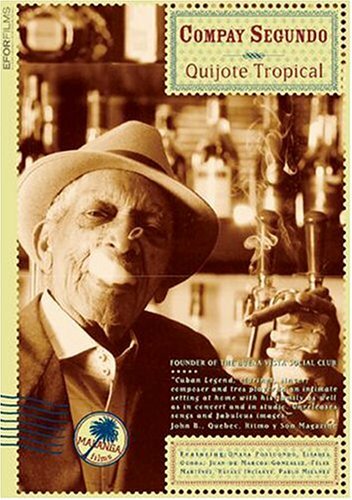 Buy Compay Segundo: Quijote Tropical on DVD. Directed by Ileana Rodriguez, this 65-minute documentary looks at the 100-year life of Compay Segundo, the Brazilian musician who achieved international fame in the final years of his life with the Buena Vista Social Club. As the sole focus, Segundo's unique life force shines brighter here than in Wim Wenders' hit 1999 documentary about the best-selling superband. The film interviews friends and colleagues and features a few, but not many, musical clips. Fans of this warm, vibrant music should check it out. The documentary is available with Spanish, French and English language tracks, and French and English subtitles.